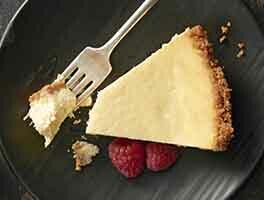 Based on our ever-popular recipe for easy cheesecake, this coconut variation gets its flavor from unsweetened coconut, toasted to perfection in the crust and again for the topping; as well as one of our favorite specialty ingredients, coconut milk powder. If you don’t think that coconut and cheesecake go together, this recipe will prove you wrong! To make the crust: Stir together all the crust ingredients, mixing until thoroughly combined. Press the crust mixture into the bottom and up the sides of the pie pan, making a thicker layer on the bottom than on the sides. 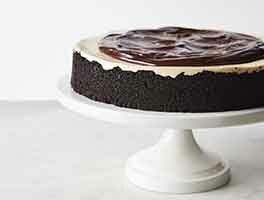 To make the filling: Mix together the room-temperature cream cheese, sugar, and coconut milk powder until smooth. Mix in the eggs and coconut flavor, again mixing until smooth. To avoid beating too much air into the batter, use a mixer set at low-medium speed. To avoid lumps, make sure the cream cheese is softened, and/or at room temperature. 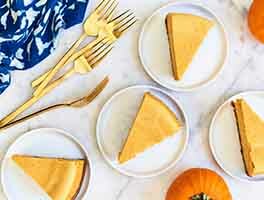 Set the pie pan onto a baking sheet, if desired; this makes it easier to transport in and out of the oven, and protects the bottom of the crust from any potential scorching. Pour the filling into the crust. Remove the cheesecake from the oven, and set it on a rack to cool. Toast the coconut for the topping in a 350°F oven on a baking sheet for about 5 minutes, until it’s just beginning to turn golden. Once the cake is cool, top it with the toasted coconut, cover it loosely, and refrigerate it until you're ready to serve it. 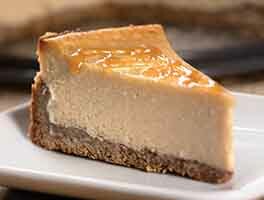 Store any leftover cheesecake, covered, in the refrigerator for 2 to 3 days. Everybody raved about this cake! I will definitely make it again! I used a bit more butter in the crust and it was not needed, stay with recipe amount! I did however add some untoasted coconut to the filling which gave a slight texture to the filling. I could go either way with this change. Lastly, I used standard unsweetened coconut and large flake coconut toasted for the top. Looked nice and I liked the texture of the larger chunks of coconut. I did not need to shield the crust and ended up baking for an additional 5-10 minutes. Probably from the extra butter! 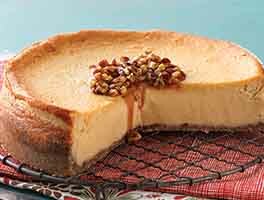 This cheesecake strikes the perfect balance of smooth and crunchy. The creamy middle is is topped with toasty coconut, and sits on a beautifully crunchy graham cracker crust. I only had one bar of cream cheese, so I made a half recipe in a smaller pie plate. I had the coconut powder, but not the flavoring, and it still had a lovely coconut flavor. This recipe is a keeper! My husband loves cheesecake and he loves coconut so I thought there was nothing to lose here and I was right. I've made three of these so far, two were gifts, he doesn't love cheesecake that much. Even my fussy grandchildren ate this and asked for more. And, yes, it really is easy. yikes, i can't remember if i've ever been the first reviewer for a kaf recipe. anyway, this one was great. i didn't bother buying coconut milk powder (when would i ever use that again? ), but used regular powdered milk. the coconut flavoring and the abundance of coconut made it apparent that this was a coconut dish.